Quality, competitive products and on-time delivery make AVION your number one source for Centrifugal Castings, Static Castings and Fabrications. AVION is the newest single source manufacturer of centrifugal castings, static castings and fabrications. 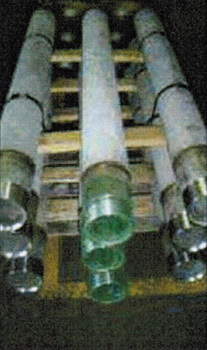 We are also the most effective manufacturer of cast radiant tube in the industry guaranteed. AVION has the capabilities to static cast, centrifugal cast, fabricate, machine and test components for the reforming and ethylene cracking processes. 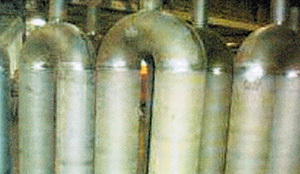 Catalyst reformer tubes are used to produce hydrogen from steam and natural gas. The hydrogen is subsequently converted to methanol, ammonia, town gas or is purified and used directly. Reformers operate at higher pressures and lower temperatures than pyrolysis coils. Alloy strength and creep strength is what we concentrate on with reformer tubes primarily in a HK, HP 50-50 CB alloy modified. Ethylene is an important basic chemical for many products and is the largest volume petrochemical. The principal source for ethylene is from the pyrolysis of ethane or naphtha. This process uses the hottest industrial furnaces containing metal castings. These alloy castings have frequent heat up and cool down cycles. AVION manufactures several alloys that withstand the high temperature and resist the carburization and thermal stress processes. AVION has specialized equipment for corrugating, rolling cylinders, and cutting. We also employ skilled welders, which makes us extremely efficient at fabricating many items. For more information on our alloy and casting capabilities, please contact us today. We look forward to hearing from you.